Feeling up for a challenge and want to venture off the beaten path? Check out these great options for a new thrill on your next visit to Europe. While they might be called “dangerous,” simply taking the proper precautions means you can enjoy these unique experiences – and live to tell about it. Once a thriving industrial town, this eerie region in the Ukraine was rendered completely uninhabitable after an explosion at the local nuclear plant several decades ago. Now only tourists come and go, bearing witness to a Soviet-era ghost town but not sticking around too long. An amusement park in Pripyat that was going to be opened right after the May 1st festivities of 1986. 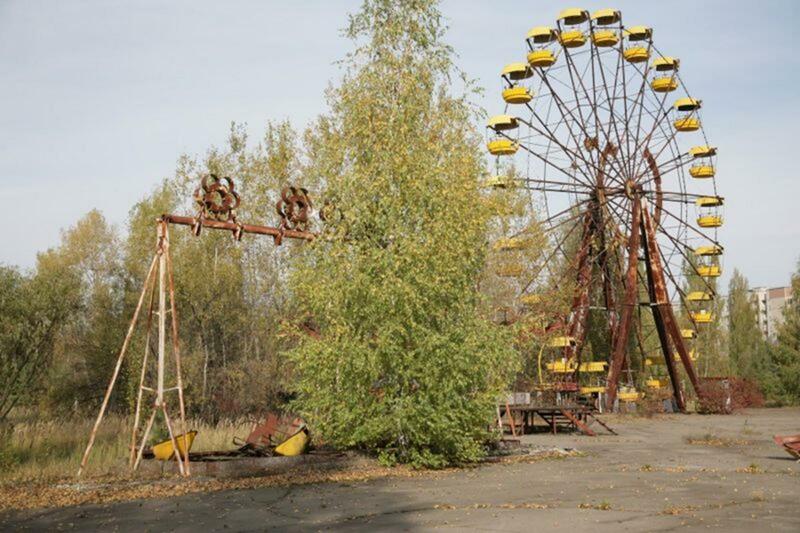 Because of the Chernobyl accident the ferris wheel, swings and bumper cars were never used. 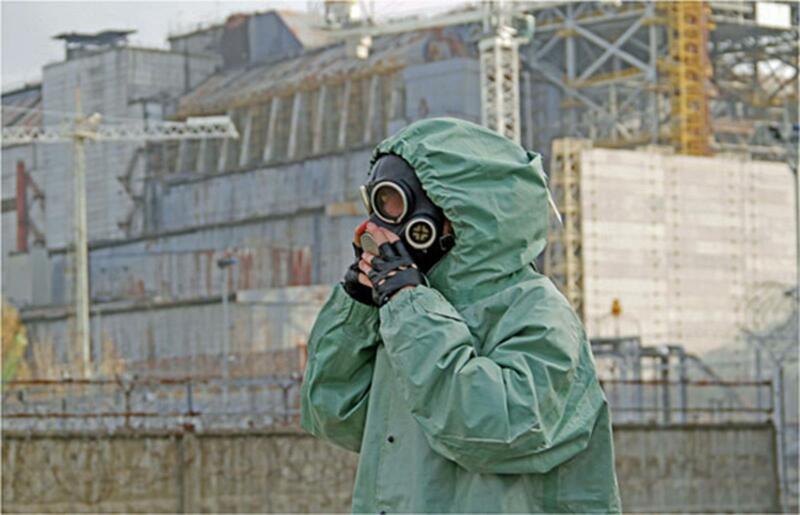 The 1986 nuclear meltdown in the northern Ukraine town of Chernobyl rendered the area completely uninhabitable, killing several plant workers and exposing hundreds of thousands to dangerously high levels of radiation. Evacuations from the surrounding towns were sudden and unexpected, forcing residents to leave behind everything they knew with no idea if they would ever be able to return. In fact, more than 100,000 people were forced to leave the region after the meltdown, and only 700 have since moved back. The closest town to the nuclear reactor is Pripyat, less than three miles away. Built specifically to house plant workers, it was home to 49,000 residents before the disaster, mostly the families of the Chernobyl plant workers. Due to the dangerously high levels of radiation in Pripyat, no one was ever allowed to return, and today only tourists visit the site, escorted by official tour guides. Venture into the region today and you’ll see remnants of the Soviet Union seemingly frozen in time. Dilapidated buildings, Communist propaganda still hanging around town, and even children’s toys and other personal belongings still litter the area, a sign of just how sudden and traumatic the evacuation was. Clocks all read 11:55 – the time the electricity was cut. In order to visit the area you must obtain permission from the government and be escorted by an official tour guide. A variety of tour operators in nearby Kiev offer various experiences in and around the ghost town of Pripyat. While radiation levels have kept former inhabitants from ever returning, visitors for short periods shouldn’t worry. It takes between 300 and 500 roentgens per hour of radiation to deliver a lethal dose. Levels on the tour range from 15 to several hundred micro-roentgens per hour. And of course all tours end with a screening for radiation levels. You won’t need to worry if you follow the guide’s instruction, stay on marked roads, and avoid heavily vegetated areas where radiation levels are higher. The capital city of Albania has a reputation as one of Europe’s more dangerous capitals. But with a bustling culture of young people, a captivating history, thriving nightlife and a walkable downtown core, this just might be the time to visit Tirana and experience it for yourself. If you play it smart, there’s no reason to leave Tirana off your itinerary. 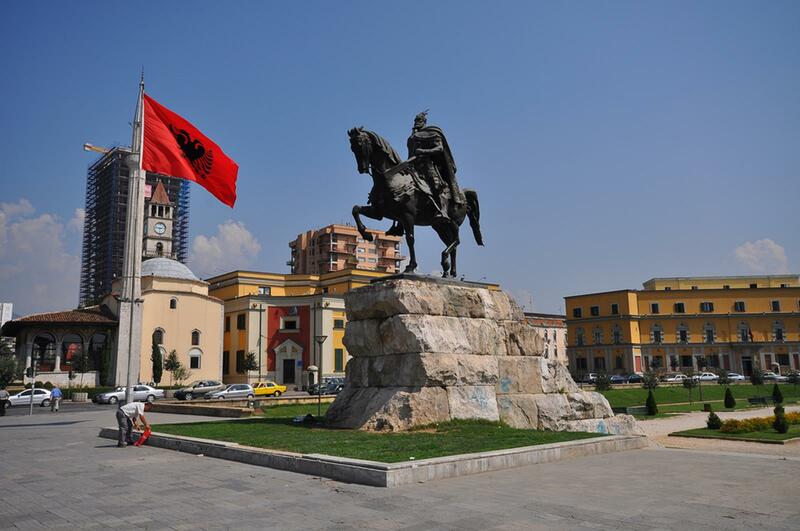 In recent years, the Albanian capital of Tirana has found itself atop many a list proclaiming it as one of Europe’s most dangerous cities. Since the Communist regime was overthrown in 1991, the country has made news headlines around the world and tourists will often be warned of the dangers associated with traveling in the country. However, Tirana and the country as a whole have come a long way and with basic street smarts you’ll see that this is a destination not to miss. History, a unique charm and a bustling population of young people make this an ideal stop on your itinerary. In the downtown core, be sure to check out Et’hem Bey Mosque, considered one of the most beautiful and intricate in Albania, and climb the city’s Clock Tower for great views over Tirana. Also stop by the National Historical Museum, Skanderbeg Square, and enjoy the city’s parks. Of course don’t forget to enjoy some Albanian cuisine and check out the city’s club scene by night. And for a fun way to get around the city center? Try renting a bike through the city’s Ecovolis bike sharing program, and for about $1 per day you can cruise around Tirana’s sites. To get to Tirana, take the train to Italy and a ferry across the Adriatic Sea, finishing off the journey with local bus links to reach your final destination. Or, take the train to Montenegro and a bus or taxi across the border. Major airline such as Lufthansa, British Airways and Turkish Airlines operate out of Tirana’s international airport. The city center itself is quite small and can be explored on foot – but be sure to pay close attention to your feet while taking in the sites! Potholes and sudden ends to sidewalks are common, and you may find that pedestrians don’t always have the right of way. If you’re looking to explore more on your own, driving in Albania can be quite the adventure. This is also a great budget option for venturing outside of Tirana. Assertive drivers shouldn’t have too many issues, but do be extra cautious, as street lights frequently don’t work and “rules” don’t always apply. Why not take in the mountains of Western Europe from hundreds of feet off the ground? 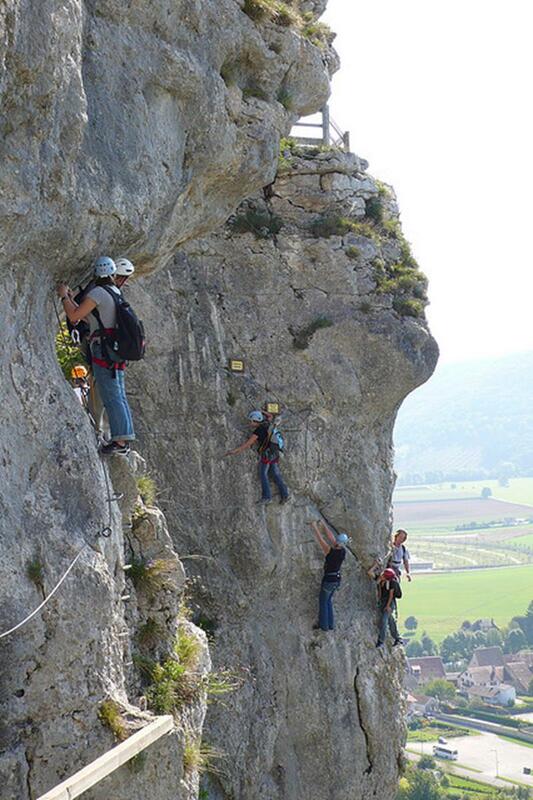 Via ferrata allows you to do just that, while secured to a rock face with fixed gear. Not for the faint of heart, these routes traverse and climb cliff faces and make terrain accessible so you can take in the Alps from the best seat in the house. If you can’t get enough of the great outdoors, get your adrenaline pumping on one of the famous “via ferrata” (Italian for “iron road”), which are especially popular in both the Alps and Dolomites of Western Europe. Several steps up from your average hike, these routes up and across rock formations are linked by steel cables that are fixed to the rock at varying increments. As you move along the route, you use a special kit to secure yourself to the cables. Although the presence of cables provides a fairly well laid-out plan, you may still find yourself in precarious positions as you work your way along the route, but at the same time the views are unparalleled and only open to those willing to make the trek. Climbing along via ferrata, you’ll be following in the footsteps of 15th century Europeans who once used ladders instead of cables. Later, specialized troops in World War I scaled the route, but not to worry – the support systems have been improved since then and are well maintained on the popular routes. 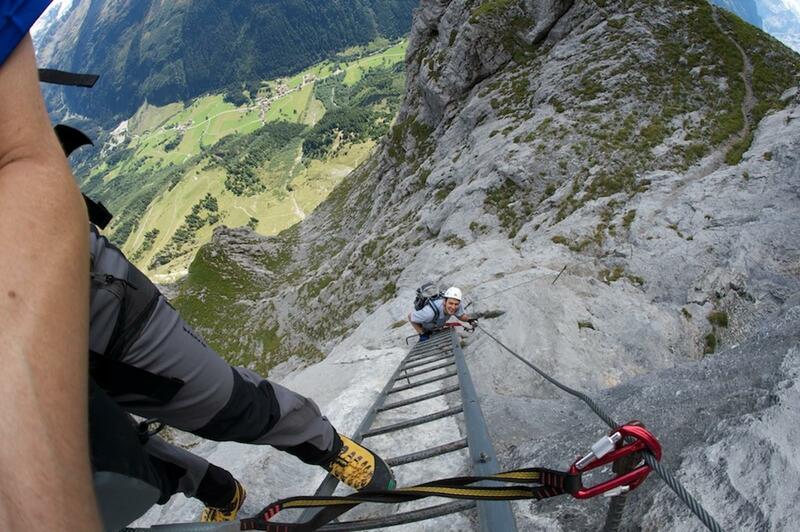 Via ferrata range in difficulty, although all will involve heights, cliffs and incredible exposure. With the choices available throughout the Alps and Dolomites, you can choose excursions lasting from several hours to several days. For those who would like to spend more than a day on route, specialized trails offer refuge huts for camping along the way. Of course, even the most moderate routes can prove to be dangerous, and deaths have occurred for a variety of reasons. In 2009, one woman plunged to her death on an intermediate hike after slipping on snow and falling 600 feet, while another death resulted from gear failure. But while via ferrata may look and sound dangerous, with the proper precautions you can take in the breathtaking scenery while perched high up on a rock face, while taking in a very unique perspective of some of Europe’s most impressive mountain ranges. Before undertaking via ferrata, be sure you are in good physical condition and prepared with proper equipment and route information. Many websites are dedicated specifically to this activity, and reading reviews will help you be certain you pick a route within your ability. With the proper preparation, you can safely navigate the above “dangerous” destinations, which will surely make great stories to take home. Have you had a chance to visit any of the above? What destinations would you add to the list above? Let us know in the comments below!